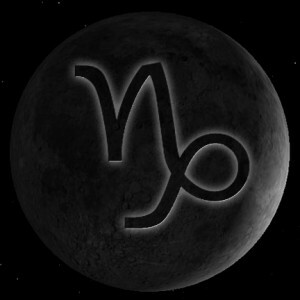 NEW MOON in Capricorn – 1st of January 2014!!!!!!!!! What a strenuous way of starting the year as from January 1, 2014!!!!!!!!!! !, with a New Moon at 11º of Capricorn forming an ‘almost’ exact Grand Cross, yet not as exact as it will be in April 2014. But close enough to shake us a little. We go into this lunation with the Sun, Moon, Mercury, and Pluto at 11 ° of Capricorn, (Venus also in Cap but further away at 28º). A conglomerate of 5 planets in the same sign and degree and all forming a virtually exact 90 ° angle to Mars in Libra and Uranus in Aries, which are opposed. Jupiter in Cancer at 16°, completes the missing leg of the cross. You don’t have to be a genius, nor an astrologer, to realize the symbolism of a Cosmic Cross, formed by 7 planets! In popular language when we say. “what a cross!”, usually we are complaining about an unwieldy situation. As if something external to us, a heavy load that we must carry on our shoulders, as that man whom we call Jesus, did more than 2000 years ago. People who make demands from us, demands we can’t easily meet, situations that collapse, bosses, professors, teachers, parents, lawyers, the Bank, business partners, etc, which in more than one way obstruct our freedom and prevent us from moving forward, by holding on to old values, old-fashioned mentality, in total disagreement with current needs and times. This is a month when we will have 2 new moons, the second is in January 30 at 11º of Aquarius, with the full moon in Cancer, on the 16. Strong cardinal activity, which only means one thing: ACTION! Without wanting to be “a bird of ill omen”, which ever way you look at it, it sounds like a “challenge”, to once more take a look at situations that must be resolved, because things are not as they should be.Even if you are in a good moment at this time, even if you divorce yourself from what happens in the rest of the world, the situation is like this: Spain, just adopted the law that makes abortion illegal. Once again!!! India and Uganda, passed laws which make homosexuality illegal, again! If you are found in a situation that shows or suggest your homosexuality, you can go to jail for the rest of your life. WHAAAT!!!!!!!! and it’s the situation in South Sudan, in Istanbul and Ukraine, and the 2 million Syrian refugees in the Lebanon borders. Insecurity, poverty and corruption in most of the world escapes our hands. Question: Have we all gone crazy or what’s going on? This is what this Grand Cross in Cardinal signs is showing us. Let’s pay attention. We are confronted with the fact that we must act in a way and make decisions that none of us want to take, but it does not leave us another option. 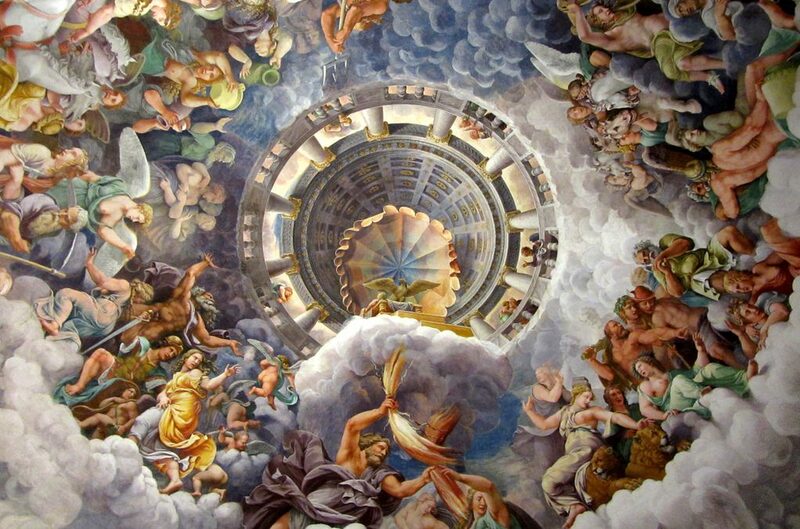 As Uranus opposes Mars, we feel we must start a revolution, we must say NO to the established corrupted systems, because we want honest politicians and officials who engage in organizing our lives in the best way possible, for the good of the community. While it is very difficult that everyone is in agreement,that’s what a Government is for, to try to resolve those differences. Isn’t it? The pressure to get rid of that which prevents us from feeling free and happy will be so intense, through out January and April.If we had already resigned themselves to a particular situation, everything begins to shake inside of us again, to remind us that that is not ok. We can not resign ourselves to being unhappy, because the Cosmos will always push us to achieve our goals and our desires, to become all that we have come here to be. The “crappy” (vulgar or not sophisticated) version of ourselves, is not allowed in this lifetime, we must strive to become the best version of ourselves. Otherwise, we get sick, we go out of balance and harmony with ourselves and live a half-gas life, which only ends in disease. Jupiter, in turn, forms a Trine to Saturn already at 20º of Scorpio. These two planets are forming a trine during the month of May too, due to the retrograde motion of each. This is a positive influence and which prevents us from surpassing our limits, becoming aware of our limitations and talents. Pluto represents our need for evolution and survival, and there is no way of saying to that:-“sorry, but I stop here, I don’t want to evolve anymore” – that is impossible! If you’re alive, changes and developments follow. It doesn’t matter what age you are. One of the most important qualities of Capricorn, is that this sign sets its goals and arrives there, yes or YES. The NO option, is OFF for these people. It doesn’t matter how long it takes. They know how to wait and do it safely without losing too much on the way. They know that it should be a step forward and often two back, but always returning to the forward and upward motion. The conjunction of Pluto to Mercury, will reveal to us more corruption of the individuals in power. At an individual level, it’ll help us confront our secrets and ponder on why we hide what we hide. What is that we do not want to show even to ourselves? If all this sounds a little dramatic, is because it is. But drama is not synonymous of disaster, but of “pivotal”. These are vital moments, when the actions of each of us are very important. Our awareness of the world that surrounds us and the importance of our decisions is perhaps the most positive lesson of this lunation. Good time for resolutions of the new year. I encourage you to leave behind those parts of you that choke you and stop you from evolving. If you’re saying goodbye to someone, focus on the good things that the situation or relationship have left you with and open the door to the new. Remember that everything that comes to a close is because it has nothing else to offer you. Never mind how sad is to say goodbye. Happy beginning of the year to everyone!!!!!!!!!!!!!! Mercury stations direct today and begins its run forward once again, from the 19º of Sagittarius. It won’t come out of its shadow zone and go back to the 5º of Capricorn, where it originally stationed retrograde until Jan 17th. So, flights and communications in general and air controllers in Spain, should function better. Skype is back to working mode and they decided to give everyone of their members 1 dollar credit! for the inconveniences. It just makes some 30 minutes difference in phone calls to landline numbers. Just few days into the New Year and we have the New Moon and Partial Solar Eclipse in Capricorn, when the the Moon is in between the Earth and the Sun. Whenever there is a New or Full Moon near the Moon Nodes we get an eclipse. It would be silly to say that everything is going to be fine, since eclipses have not only a bad reputation, but they really are times of trouble. Many wars have started just at the time of the eclipse, great floods and earthquakes and tsunamis have happened as well. Too many times to say that it is a coincidence. Only last year in the first eclipse of the year in January, also in Capricorn, we had Haiti’s earthquake, just 2 days before the Eclipse as Saturn was going retrograde and Mercury about to station direct, but still retrograde in Capricorn. The situation is not identical, though, it never is. So don’t panic. The actual event will be seen from most of Europe, in Barcelona you will have to get up at 7:58 and it will last until about 9. What makes this eclipse especial is that Jupiter and Uranus come to the last conjunction in Pisces, right about the same time. This does not happen since 1334. They meet every 83-84 years, but not exactly at the same degree. They have come together in Aries in 1596, 1679, 1762, 1845 but not in Pisces. This actual conjunction has been happening since May 2010, you may read my other articles about it here in my notes or in my blog in English and Spanish in my webpage at: http://www.astrologiaarquetipica.com/. As I mentioned before the fact that it happens in the last degrees of the last sign of the Zodiac, it truly represents the end of an era. When they met in Aries in July for a brief moment, It kind of set the mood to a new beginning. As they both dipped back into Pisces for the last time, and since none of us alive today will experience this again, since it will not happen until 2093, we can safely say that it is the end of an era, in our times. If you are not feeling it, you must do some serious meditating. Meditating is good with Pisces around and it helps us connect with the Universe and the laws of Nature. It’s quite simple really, if you try to function against these laws, you will have a terrible time, whereas if you can read what the Universe is telling you, or demanding of you at a particular time, then you will have it easier. You will flow at unison with the Universe. None of this is a bad thing, it just simply isn’t necessarily fun. But it can be if you are a Capricorn who enjoys hard work or for anyone who has very clear ideas of where he or she is going. It will fill us with determination and courage to move forward! like most squares in Cardinal signs. So in your list of New year’s resolution, you must include your financial goals and face up to your absolute reality. Venus from Scorpio also makes a square (90º) to the Neptune-Chiron conjunction in Aquarius, for the last time before Neptune moves into Pisces. This should impulse us to find a cure for our relationships, of all type. To leave our egos behind and look at that person we have the relationship with and try to connect. Truly connect. With love and responsibility. Finding Venus in our soul is indispensable, in our creativity, in our power to seduce and feel beautiful. If you dare to be yourself, you will see your own beauty. Venus reveals herself when we are brave enough to be ourselves, when we can stop being cultural puppets for a while to reach in our soul and be it. Let’s take our projections back and let us be who we really are, we only have one life to be this that we are now, let’s not waste it, trying to be somebody else. Jupiter and Uranus are shouting from the Heavens, dare to be! They remind us that we are part of this only race of people, the Humans, who live in this most beautiful planet called Earth. It’s our home, our playground, our stage, our bed, our North, our South, East and West, full of flowers and mountains and seas, trees and birds and dolphins, and we must look after it, to keep it as beautiful as we found it, when it was given to us. Let us use this contact of Venus to Chiron and let us heal, ourselves and the planet, and our relationships, and let us enjoy our differences and our similarities, which are many. Let us listen to the Heavens and Nature and enjoy and look after this beautiful planet!